'S e baile mòr ann an Alba a Tuath a tha ann an Obar Dheathain (Beurla: Aberdeen; Beurla Ghallda: Aiberdeen). 'S e an treasa baile as motha ann an Alba, an dèidh Glaschu agus Dùn Èideann. Tha am baile-mòr ainmeil airson ola ann an Cuan a Tuath (The Oil Capital of Europe) agus clach-ghràin (The Granite city). Ged nach eilear a' gabhail ris an-diugh, bhathar a' smaoineachadh gur e Abar-Rèidh Abhainn a bu chiall dha Obar Dheathain san t-seann chànan. Tha Obar Dheathain na laighe eadar dà abhainn, Uisge Dè agus Abhainn Dheathain. Thòisich am baile mòr mar dà bhaile, Seann Obar Dheathain (Old Aberdeen) agus Obar Dheathain Ùr (New Aberdeen). Bha Obar Dheathain Aosta ann an Tuath, aig Abhainn Dheathain agus bha Obar Dheathain Ùr, baile iasgach, aig beul-aibhne Uisge Dhè. Ann an 1396, bha an sluagh 3,000. Ann an 2001, bha sluagh a' Chomhairle Cathair Obar Dheathain 212,125; ach bha 184,788 duine a' fuireach anns a' bhaile fhèin. Tha riaghaltas Obar Dheathain leis an Comhairle Baile Obar Dheathain. Tha 43 comhairleach ann agus 13 uàrdan. Tha stiùir gnothach Comhairle le Pàrtaidh Nàiseanta na h-Alba. Ann an 2007, bha 15 Libearalaich Dheamocratach, 13 SNP, 10 Làbaraich, 4 Tòraidhean agus aon comhairleach eile ann. Tha trì roinnean-phàrlamaid ann an Obar Dheathain airson Pàrlamaid na h-Alba agus Taigh nan Cumantan cuideachd. Ann am Pàrlamaid na h-Alba: Obar Dheathain a Deas agus Ceann Chàrdainn, Obar Dheathain Meadhain agus Obar Dheathain Oir Dheathain. Ann an Taigh nan Cumantan, tha na roinnean-phàrlamaid riochdaichte le Obar Dheathain a Deas, Obar Dheathain a Tuath agus Gòrdan. Tha dà oilthigh ann: Oilthigh Obar Dheathain, stèidhichte ann an 1495 agus oilthigh ùr, Oilthigh Robert Gordon, stèidhichte ann an 1992. Tha campas aig Scotland's Rural College faisg air Obar Dheathain, agus trì campasan aig North East Scotland College ann an Obar Dheathain fhèin. Tha 12 àrd-sgoilean agus 54 bun-sgoilean ann an Obar Dheathain. Bha Aberdeen Grammar School stèidheichte ann an 1257. Gabhaidh Fòghlam tro Mheadhan na Gàidhlig ann an Bun-sgoil Gilcomstoun agus Àrd-sgoil Hazelhead. Tha Obar Dheathain na dhachaigh gu dà pàipearan-naidheachd gach là, Press and Journal agus pàipear-naidheachd san feasgar, Evening Express. Tha stiùidio beag BBC Scotland ann an Obar Dheathain agus prìomh-oifis STV North (mu thràth Grampian Television) suidhichte ann an Tullos. Tha trì stèisean-rèidio suidhichte anns a' bhaile, Northsound 1, Northsound 2 agus Original 106. Tha dà phrògram nan naidheachdan suidhichte ann an Obar Dheathain, North Tonight air STV north agus Good Morning Scotland air BBC Radio Scotland airson naidheachdan ionadail. Tha Port Adhair Obar Dheathain ann an tuath a' bhaile, a tha a' ceangail Alba a Tuath le Sasainn, Èirinn agus Eòrpa. Tha port-heileacoptair aig a' port-adhair a tha a' ceangail na mòr-thìr le beartan-òla ann an Cuan a Tuath. Tha e aon de na puirt-heileacoptair as trainge air feadh an t-Saoghail. Tha seirbheisean trèana bho Obar Dheathain gu Inbhir Nis, Sràid na Ban-righ ann anGlaschu, Dùn Èideann, Inbhir Uraidh agus Sasainn. 'S e port-mara airson aiseagan a tha ann. An sin tha seirbheis aiseagan a' ruith gu Lèiruig air Sealtainn agus Baile na h-Eaglais air Àrcaibh le Northlink. Tha sia mòr rathaidean ann an Obar Dheathain, tha A90 am prìomh rathad anns a' baile a tha a' ruith bho thuath gu deas, a' ceangail Obar Dheathain le Dùn Èideann, Dùn Dèagh, Peairt agus Breichin anns a deas agus Ealain, Ceann Phàdraig agus a' Bhruaich anns a tuath. Tha an A96 a' ceangail Obar Dheathain gu Eilginn, Inbhir Nis agus an iar-thuath. 'S e an A93 am prìomh rathad a tha a' ruith chun an iar, gu Bràigh Mhàrr agus Am Monadh Ruadh. Tha A92, a' dol gu deas, a' ceangail am baile le Monadh Rois agus Obar Bhrothaig. Tha bus seirbheisean ag obrachadh le First Group airson na seirbheisean anns a' bhaile fhèin agus le Stagecoach airson seirbheisean air feadh na dùthcha. Tha seirbheisean ann gu Glaschu, Dùn Èideann, Inbhir Nis agus Sasainn cuideachd. Tha First Group suidhichte ann an Obar Dheathain. William Forbes Skene (1809-1892) Sgoilear ceilteach. Chaidh am Mòd Nàiseanta a chumail ann an Obar Dheathain anns na bliadhnaichean 1946, 1955, 1964 agus 1976. ↑ Brinkhoff, Thomas: “Scotland (United Kingdom) - Council Areas & Localities - Population statistics in maps and charts”. Air a thogail 12mh dhen Ghearran 2017. ↑ “Aberdeen/Obar Dheathain”. Ainmean-Àite na h-Alba. Air a thogail 12mh dhen Ghearran 2017. ↑ “Aberdeen Campus - SRUC”. Scotland's Rural College. Air a thogail 12mh dhen Ghearran 2017. ↑ “Our Campuses and Centres”. North East Scotland College. Air a thogail 13mh dhen Ghearran 2017. ↑ “BAA Aberdeen Airport”. Air a thogail 31mh dhen Iuchar 2007. 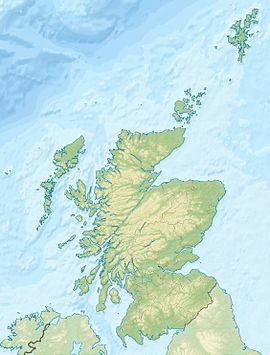 Air a tharraing à "https://gd.wikipedia.org/w/index.php?title=Obar_Dheathain&oldid=539409"
Chaidh an duilleag seo a dheasachadh 25 dhen t-Sultain 2017 aig 07:08 turas mu dheireadh.